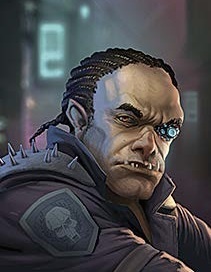 Leads the Toxic Hunters Bounty Hunter team. He is flashy and a born showman, but lives on the edge, sometimes to the detriment of his erstwhile team members. Cocky, but skilled to back it up.